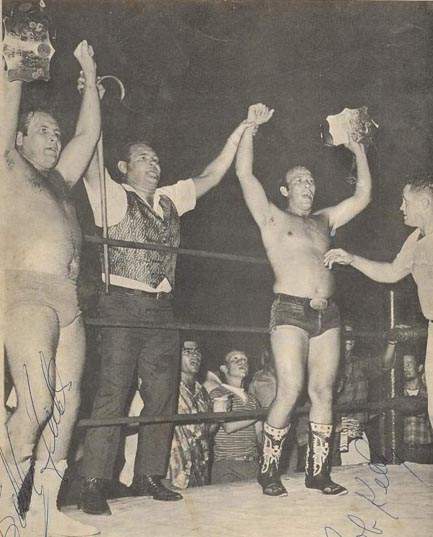 February 5, 1963: Bobby & Lee Fields defeated The Medics (Tony Gonzales & Donald Lortie) for AWA Southern Tag Team titles. October 14, 1966: Bobby Fields defeated Don Carson to capture Gulf Coast Heavyweight title. 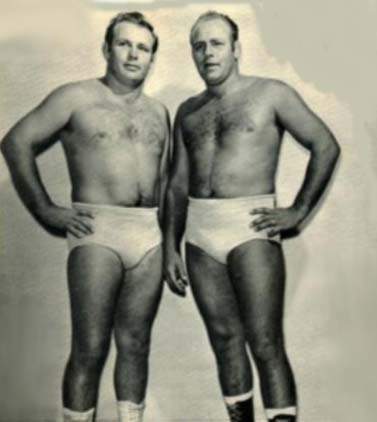 July 7, 1967: Bobby Fields & Ken Lucas defeated Don & Ron Carson for Gulf Coast Tag Team titles in Mobile, AL. 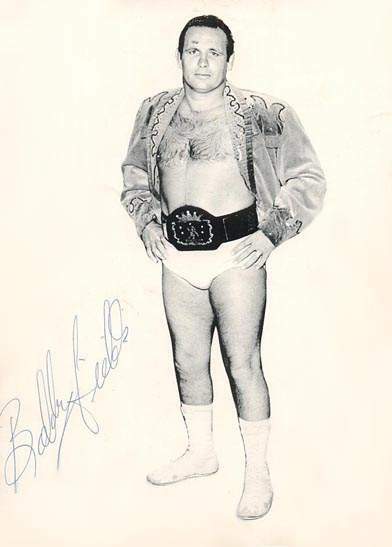 August 9, 1967: Bobby Fields defeated Ox Baker to capture the Gulf Coast Heavyweight title in Mobile, AL. March 27, 1968: Bobby & Lee Fields defeated The Scorpion & The Cobra Kid for the Gulf Coast Tag Team titles. 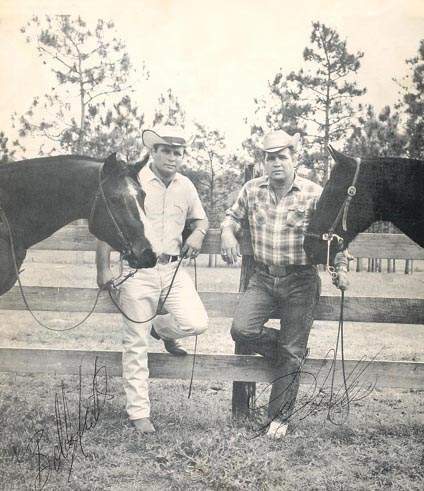 Spring 1968: The Fields Brothers were related to Buddy Fuller, who, along with Eddie Graham is the main promoter in Florida. 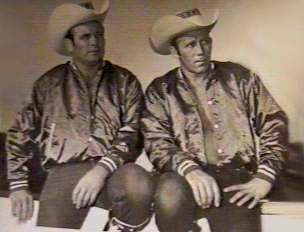 ~~~Florida recognized J.C. Dykes’ Infernos as the World Tag Team Champions, but they were also reigning Champions in Texas. ~~~The trick worked, as in a few weeks, J.C. Dykes and his Infernos were back in Tampa demanding a match with the imposters. Spring 1968: The Infernos (Bobby & Lee Fields) defeated The Infernos w/J. 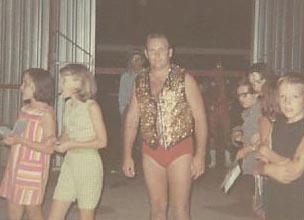 C. Dykes for the NWA (Florida) World Tag Team titles. ~~~The Infernos w/J.C. Dykes defeated Bobby & Lee Fields in a rematch to reclaim the NWA (Florida) World Tag Team titles. 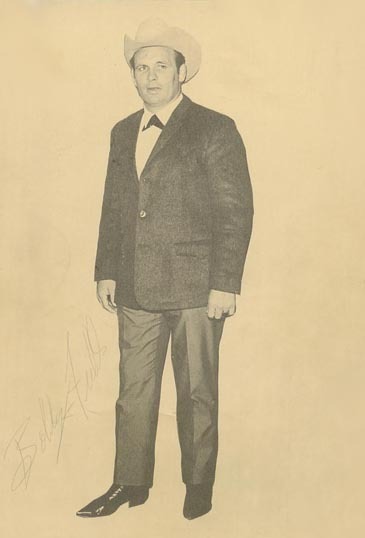 August 13, 2011: Luther Hatfield, who wrestled as Bobby Fields of the famous Fields Brothers wrestling family, passed away at the age of 77.